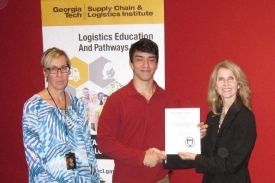 Led by the Georgia Tech Supply Chain & Logistics Institute, the Logistics Education And Pathways (LEAP) program was created in 2015 by a $350,000 grant from JPMorgan Chase & Co. toward the firm's global New Skills at Work initiative that promotes workforce development to bridge the gap between the talent employers need and the qualifications of the local talent pipeline. 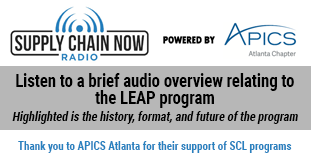 In August 2018, JPMorgan Chase & Co. continued their support of LEAP with an additional $250,000 grant! 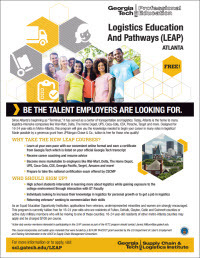 Originally created for Metro Atlanta 16-24 year olds and veterans, LEAP is a fast-track online certificate program which prepares participants to compete for jobs and successful high-growth careers in supply chain and logistics. As an Equal Education Opportunity Institution, applications from veterans, underrepresented minorities and women are strongly encouraged. “The road to economic opportunity and prosperity begins with great preparation and we want to help our youth be ready to compete and secure jobs that will lead to a strong future,” said David Balos, market leader for JPMorgan Chase & Co. and head of commercial banking in the area. Over the first two years of the program, SCL attracted more than 300 students to the program with tuition costs covered through the grant. 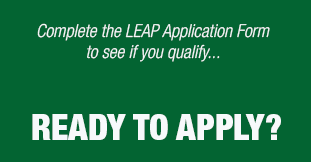 LEAP is now accepting student applications for cohorts for students to take an online course and receive career-development support and participate in a career fair. 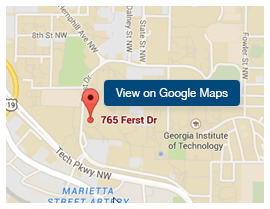 Students who complete each course receive an industry-recognized certificate for the selected area(s). 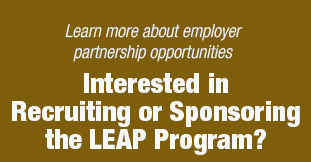 Organizations wanting to sponsor students through the LEAP program can learn more by reviewing the LEAP Sponsorship Opportunities flyer. 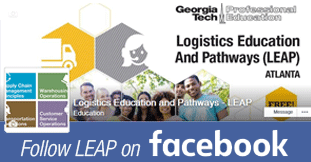 Active duty service numbers interested in participating in the LEAP courses as part of the VET2 program should contact James.Wilburn@pe.gatech.edu. 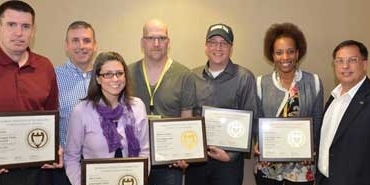 Students learn at their own pace while progressing toward certification. 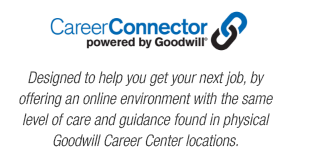 In addition to the online course content, students will receive career coaching, resume advice, learn from supply chain gaming simulations and participate in career opportunities. We are accepting applications from participants who are part of the below initiatives/sponsorship programs. If you DO NOT meet criteria relating to the below programs, we encourage you to visit our Supply Chain Fundamentals online course offerings. Must be 16-24 years old or a Veteran. 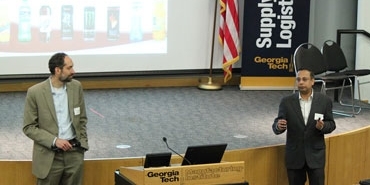 Eight main areas of instruction will be covered, based on input received from supply-chain intensive companies based in Atlanta, including Coca-Cola and UPS. Students will be able to learn at their own pace while progressing toward certification. In addition to the course content, students will receive career coaching, resume advice, and participate in career opportunities. Prepares students in the basics of supply chain and supply chain’s roles within organizations. The course includes defining supply chain management and the various domains within supply chain (i.e., customer service, manufacturing and service operations, order management, procurement and supply management, demand planning, inventory management, warehousing operations, and transportation operations). It includes an explanation of how the supply chain supports organizations’ strategic and financial goals. This course prepares students in the basics of customer service operations and the role of customer service within an organization’s overall supply chain. This course prepares students in the basics of transportation operations and the role of transportation within an organization’s overall supply chain. 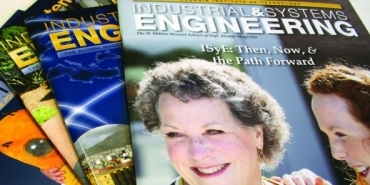 The course includes review of the key elements of transportation such as: modes of transportation, transportation technology, company roles and operations within the transportation field, the impact of transportation on the overall economy, sustainability in transportation, and how the field is evolving to meet future needs. This course prepares students in the basics of inventory control and management operations and the role of inventory management within an organization’s overall supply chain. The course includes presentations of the key elements of inventory control and management including: inventory cost components, types and uses of inventory, planning inventory levels, maintaining inventory accuracy, and metrics and roles associated with inventory management. This course prepares students in the basics of supply management and procurement operations and the role of procurement within an organization’s overall supply chain. The course includes presentations of the key elements of sourcing and procurement including: strategic sourcing, supplier management, negotiations, contract development, supplier identification and evaluation, and the importance of cross-functional collaboration. Provides knowledge of essentials for sales and operations planning, integrating demand forecasts with capacity forecasts and marketing with sales functions. Discussion incorporates elements of forecasting, demand planning, and supply planning. This course prepares students in the basics of manufacturing and service operations and their role within an organization’s overall supply chain. 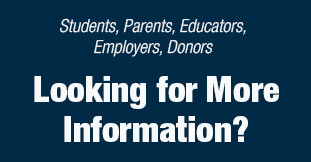 *Students can apply to take more than one course – pending course availability. Learn how the LEAP program helped David Gachuz. 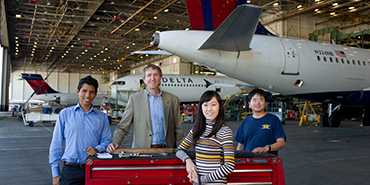 David completed Supply Chain Management Principles, when he heard it could help him get a job at Delta. 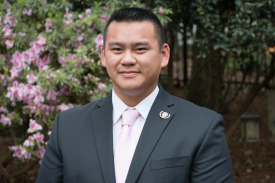 "I knew it would look good on my resume, and I think it got Delta’s attention..."
Learn how the LEAP program helped Abe Cheung. 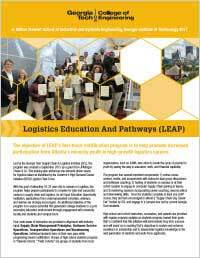 Thanks to the LEAP program and his national certifications, Cheung attained a job with Ceva Logistics, working as an operations clerk on the company’s contract with Daimler Trucks North America. Your chance to learn the knowledge needed to participate in the growing field of supply chain and logistics. More than 100 attended the LEAP program Newton County information session on July 10, 2017 at the City of Covington Historic Courthouse in Covington, Georgia.